12. Head out on the trail : MOSEY ALONG - got it because I frequently use the word "mosey"
33. Walking on the beach, maybe : SANDALED - meh. I get it, but meh. 40. "Wait just a darn minute!" : "HEY NOW~!" 9. Mao contemporary : ZHOU - hey, perps and WAG~! 11. Unreal : IMAGINARY - I had IMATERIAL, and yes, because it was in the down, I missed the missing "M"
24. Bout div. : RND - round. eh. 33. Household nickname : SIS - mom, dad, sis, bro....? The NW corner completely stymied me at first today, so I skipped it and tackled the NE where I hit upon IMAM and IMAGINARY right off the bat and was off to the races. The rest of the grid then fell pretty quickly for a Saturday, despite stuff like BIGO, GERT, RIYAL and NESTLE DOWN (huh?). And I really enjoyed a lot of the cluing today. Oh -- and I remembered PORTER! Back to the NW, however... It was still a sea of white with a few isles of wrong answers (BOND instead of ZITO, ANTON instead of ATHOL) until I started making some guesses. ELIZABETH I was the one that really helped the most, once I decided to erase all previous answers and start from scratch. That got me going with ZZTOP, which led to RAZZMATAZZ, which got me ZHOU and ZIPS, etc. Last thing to fall was BOTTLE SHOP. Is that a thing? Obviously, it's a shop that sells bottles, but is that a common term for a liquor store? Anyway, I ended up finishing significantly faster than yesterday's time, so that was nice. It's always a bit daunting when I can't get any traction in the NW corner to begin with, though. There's this moment of panic that I might not be able to solve any of it, you know? This one came together much faster than yesterday's stumper. Nice shoutout to AVERAGE JOE -- with the .VER... in place it start out as EVERY... Nope. Interesting thing about GERT Fröbe, he was already cast as Goldfinger when they found out that he didn't speak (or understand) English. Oops! Splynter, "Stonewallers" refers to a follower of Confederate general Stonewall Jackson. 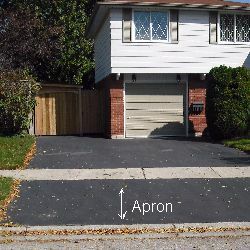 With "Apron" I was thinking of an airport apron, and they're often paved with asphalt. What say you, Dudley? BIG O? Never heard of 'em. Well at least today we had the Best All-Time CSO ... to Average Joe! A tale of two puzzles for me. ZZ Top, Abe, then mallets broke open the NW quickly. PAC, Oboist and Leno did the same for the SW. And then it slowed a lot. One Hop gave me tonnage, and move then gave me the CSO Avg Joe, but having Hold On in lieu of Hey Now really got me mired down. In the S, Pasta did the same. I finally googled for Gert, which gave me Imaginary and scrapped Hold On, finishing that section. The remainder of the SE came together after Storm Door became obvious. So. One major cheat, but it finally was finished. Bracing for a serious bout of cold weather this weekend. Forecast high of 7 tomorrow with an overnight low of -4. I finally finished but needed help to do so. The SE corner was my downfall because I couldn't get beyond portly for porter. Portly and stout seemed the logical go togethers size-wise but not beer wise! Anyway, I thought it was a tough Saturday offering and I spent more than the usual amount of time getting through it. Thanks, Alan, for the challenge, and thanks, Splynter, for the spot-on expo. Wow, an hour, and then total blank on SE. PORTER was only fill. Finally gave up. Congratulations, AO, you did me in but good. Fantastic write-up, Splynter, thanks. Where's Owen? Is he O.K.? Good Saturday puzzle. Just tough enough to make it a challenge. Had trouble with the right side, but AVERAGEJOE got me going. Lots of Z's! I was up before sunrise trying to be the early bird that gets the worm. However this isn't very early these days, but the days are getting longer. Splynter, I liked your write-up and had many of the same issues you had with the puzzle. Another "Red Letter" day and not the good kind. It was an official DNF. After the first across trip, I only had IMAN (a 4 letter fashion icon had to be,) ELIZABETHI (remembered English history class), GERT (I remember this from my first date with my future wife to see GOLDFINGER,) BAMA (I lived in NYC when Broadway Joe won the Superbowl,) ITEN (spent many hours parked on this lovely parking lot) and LENO (spent many late nights watching Carson then Leno.) Pretty sad start. Things started getting better with the DOWN clues, but it still took some Red Letter cheats to get it done. 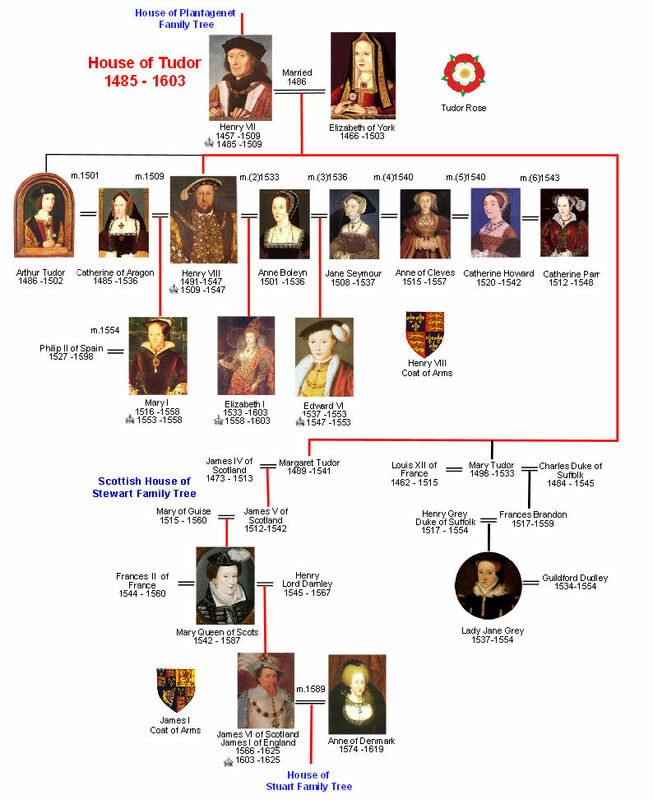 The Tudor monarch helped open up the NW with the Z. The other initial across clues helped with the rest of the puzzle except for the SE. It took a while to finally get that filled in. Did I say that I had to cheat to get it done. I hope that everyone has an enjoyable weekend. I had the same reaction when I started this "Ack"! I'm not going to be able to this without lots of google help. But when an area opened up, it just kind of fell into place. It helped that being in the science field Linus Pauling was well known for his NOBELs as well as his wild ideas about the power of Vitamin C in his later years. BIG O tires is a very common store around here. IMAN and AVERAGE JOE opened up the NE corner and ELIZABETH I opened up the NW. And only one set of wheels at the Vatican opened up the SW. Thanks for the challenge Alan, and write-up Splynter. We went from 62 yesterday and it supposed to be 5 degrees tonight, never boring weather around here. Filling on a newspaper I never know if I correctly completed the puzzle correctly until I check this blog. The NE absolutely gave me fits, filling IMAM for IMAN, MATE for MOVE, ARES for ASE'S (unknown), and GERT was all perps. The 'real' Qatari spelling of 'rial' is RIYAL? I thought this would be an easy Saturday after knowing ELIZABETH-I, ZZ TOP, and MALLETS in the NW in the SW the bottom four- O-NINE, BAMA, I-TEN, LENO plus ESTS were gimmes, allowing the longer words to fill. But when I moved east I had to write over a lot. HOLD ON went to HEY NOW, ROTO to ROJO, PASTA to PASTO, and SETTLE DOWN to NESTLE DOWN. BIG-O and ZITO were unknown and RITZES - is that a plural for crackers or a multiple of a Fred Astaire dance? SCREEN doors have SCREENS; STORM DOORS don't. None that I've seen around here. Barry- BOTTLE SHOP was a new one for me too, but it was easily guessable. Splynter- The POPE-MOBILE looks like it was based on the American made Mercedes ML-350 from a few years ago. SE corner was tough, but I managed to stare it down. This one beat me up. Funny, I found Friday's puzzle very much easier than this one. Others found the opposite to be true. Six vertical names crossed 1A. EEK! If only I looked at queens as well as kings, ELIZABETH could have been my Rosetta stone. Also, I stumbled on MATE instead of MOVE. Storm doors around here have windows AND screens. Thanks, Alan, for a nice challenge this am. Got it done with a lot of perps, especially with the 3 proper names in a row going down in the North. Tough Saturday puzzle! WEES. I had most of the problems you all did though a few good cells gave me a toehold in each AREA. ROJO was my first fill and that give me AVERAGEJOE. Great CSO! That NW corner fell fast then the SW with POPEMOBILE. Usually I need just one or two letters to complete the line, if in fact it's a familiar word. EVINCE took a long time since it's a rarely used word. Up top ELIZABETH I opened the waterfall and from somewhere ZZTOP emerged. I finally recalled MALLETS from high school days when we played croquet. Then I had to Google "trading category" since I was getting nowhere in that section. I knew only ALAR, AMOS and had PASTA at first and suddenly realized stout did not refer to PORTLY but some kind of beer. Thank you, Alan Olschwang for this remarkable challenge! And thanks, splinter, for a fine expose. I knew you would explain apron though I had an inkling of it. Ooh! Autocorrect changed my Splynter to splinter. Steve, Bottle Shop is used quite frequently here in flyover country. And we also have both "on-sale" and "off-sale" licenses, with the same stipulations. On 8d, I have to wonder if Mr Fugard ever responded to someone trying to get his attention by saying "What did you call me?!" The left side fell quickly but, like Splynter, SE took time, which is what makes Saturdays fun! I certainly hope that the constructor has a sense of humor because my first thought upon seeing his last name was "Hey, I have one of those too". I found this one to be very hard. I had to look up Fugard, O'Shea, and others. Knew GERT right away; loved him in Goldfinger. I've decided that looking something up in order to figure out an answer is not cheating; my mom, who was an avid crossword solver and double-crostic afficionada, had numerous reference books that she freely used to help her solve. It was from her that I learned how to use Roget's thesaurus and Bartlett's Book of Quotations, etc. She had an enormous unabridged dictionary that was kept open on a stand like this. It was too heavy to pick up and hold. Red letters showed me that ONEHIT was wrong, which helped with that area. Like Splynter, I felt some of the clues/answers to be kind of "meh" which detracted from my enjoyment of this puzzle. Mr. Olschwang's puzzles always make me work, but I got less pleasure from this one than most. Hey guys and gals; Chairman Moe here, chirping in. I've been doing the puzzles this week but usually late at night or next day, due to heavy work load. Today's started late,too, as I chose to sleep in! Anyway, I slogged thru with a few delays here and there. The SE was last to fall as I had to cheat to find out Pauling had two NOBELS. I came here to check Splynter's write up and saw I made several mistakes. I had SETTLED in 14d instead of NESTLED; and missed EVINCED in 41d with some random, unknown word ... I also had to look up NOT DO (47d answer) as the word ELIDE was orig penciled in. Given my job I wasn't going to let BOTTLE SHOP beat me, but I don't necessarily like the answer for the clue. SOMMELIERS would've been more accurate. That he likes doing puns for dessert. Which he named for the villian: "Yo, GERT!" Oh, and all the storm doors we ever used had windows but no screens. In places like the Black Hills, South Dakota, and Tomah, Wisconsin, where the winters are very cold and severe, a door with any holes in it such as a screen would be useless. We also installed storm windows that replaced the window screens in the winter. Every summer the storm doors and windows would be taken down and and stored in the basement, and we'd put the screens back on. It was a twice-yearly family ritual. Our wooden storm doors WIWGU (When I Was Growing Up) had both screens and glass panels that would be swapped out depending on the season. Same for the windows. Nowadays our storm/screen doors have both glass and screens built-in that are slid up and down as necessary. This is in central PA. When the Pope came to the US in 2015 the Mercedes Popemobile was left in Europe and he had a number of Popemobiles built on JEEP Wrangler Chases as stated in this USA Today article. As they say "When in Rome......"
Jayce, I solve like you do using references when necessary and learning much as I go along. Looking it up is better than not solving. But when I solve a difficult puzzle unassisted a feel a bigger rush. When I first joined this blog someone asked me to prove my opinion. From then on I have researched my first impression before posting. 99% of the time I find my impression correct. One time when I didn't do this I got blasted. Lesson learned. Thus, my byword,"The dictionary or Google says." oc4beach, me, too. Swapping those panels was a real PIA. I haven't seen any of them for 40 years or so. In addition we have windows which contain a top and bottom glass panel and a screen. You can use the two glass panels or exchange the bottom one for a screen. All are stored in tracks on the sash. With our changeable weather we can go from screen to glass and back in less than one minute. Great puzzle. The SE was the most difficult. I don't know how I discovered your blog, but it is great. Love the explanation and reading comments from you all. Not fond of turning nouns into verbs by adding "ed" , like in "sandaled". So walking on a sidewalk is "shoed" or "sneakered"? I don't think so. And I got that through crosses. The whole SE was a wasteland. BIGO a complete unknown for a North American clue. Moanin', all. SE was my downfall, too. I got NOBEL and LESS, but everything else was a total loss. Kicking myself for not getting ARM -- all I could think of was "handle" (in the ballpark anyway). For TAR, I also thought the reference was to an airport tarmac. For REBS, I didn't think of Stonewall Jackson, but of the Revolutionaries taking shots at the Redcoats from behind stone walls (highly irregular tactic!). It was fun, but my brain hurts, so I'm going to lie down in a dark room for a few. Cheers! Got lost on 51a. Knew he won two Nobels and one of two was Peace. Drove me nuts trying to us Peace in 51a. I sailed through the NW courtesy of all the easy downs. Nailed REBS as my first answer, guessed A LOT, nailed ZITO and ZZ TOP, and then MALLETS. That was more than enough to see RAZZMATAZZ, ELIZABETH-, and BOTTLE----, STOOL was already filled in. Then thought about compressed starting with Z and ending with the S from the already filled in SOUS. Yep, ZIPS. I still have my external Iomega Zip drive, but it's in a box on the shelf. At any rate, that made SHOP obvious, though I've never heard that phrase, and I didn't know that ATHOL either. I remember "package stores" being the term used in western PA for being the only places to buy hard liquors to take with. I think that's where you had to buy wine too, but not certain. Hidden CSO for that clue "Wine seller" to Chairman Moe. Worked the middle pretty quickly too, and that gave me the west and southwest in short order. One of my friends gave me the nickname BAMA, but since I grew up down the road from B'way Joe, I knew that answer right away anyway. Worked down from ONE HOP and finished the south and southeast, and thought this would be my fastest Saturday ever. NOT DO was hard to get for skip, but getting the D from OUTER EDGES made it easier to see. Never heard of BIG O, but NOBEL was easy for me for Linus Pauling. Then I got to that northeast and east area, which did me in. Hey ! Big shout out to our Nebraska regular ! I'm really flying right through this one ! 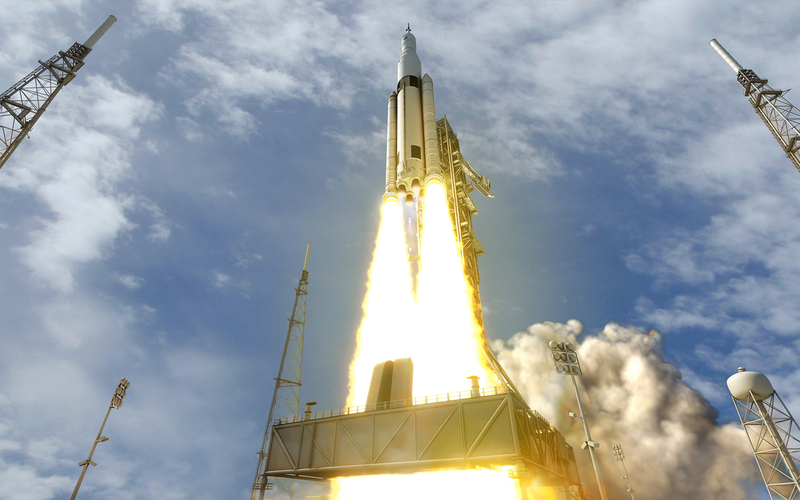 Soon came down to earth, and it wasn't a smooth landing. Right next door was a big error for today by having "gO for A ride" in response to head out on the trail (I was on a horse), and locking it in with TONNAGE and MOVE. Oofda ! Finally changed the game to regular and finished from there. when Daughter #1 called from NYC. But I was able to distract her with the puzzle! turned into my best puzzle ever! & for the next two hours we tried to do the puzzle online together! Sorry Splynter, I even told her you were looking for a girlfriend. Man, I wish they made those combination screen/storm doors and windows when I was a kid. It would have saved us a lot of work and storage space. The CEO of Big-O Tires keeps inviting me to connect with him on LinkedIn. I don't know why, but since I don't know him I keep declining.There very fact that he has extended the invitation repeatedly smells fishy (phishy?) to me. Around here we call 'em wine stores or wine shops. If they also sell liquor, we call 'em a liquor store. LW and I buy our wine from stores like Safeway and Trader Joe's, even though there are some Bev-Mo and Total Wine and More stores here. AnonymousPVX, I agree with you about "sandaled" and "shoed." The terms "gifted" (meaning "gave")and "regift" and the like rub me the wrong way too. It's a surprise that so many don't know of BIG O tires. Evidently they are only in the West or Southwest. One is located just down the street from me. To anyone interested in historical fiction I recommend The First Elizabeth by Carolly Erickson. It's excellent and to call it a biography would be limiting its scope which encompasses the era in which she lived. Say. I'm making pasta salad for supper to go with bratwurst. Gotta have the brats since the Packers are playing tonight. Does anyone here have a good method for cooking and peeling hard boiled eggs? Some bookies have refused to even set a line on the Steeler game until their quarterback is situation is resolved. I'd probably lay the 5 1/2 some books are offering and bet the Broncs, even with their QB issues. Hands up for naver seeing / hearing of Big O. None that I've ever seen in Chicago. Many techniques for hard boiled eggs have been suggested but my tried and true method is to place them in the pot, cover with cold water and when the boil starts, lower the temp to medium, cook for 15 minutes. Then drain the water and plunge the eggs in ice water immediately. When they feel cool to the touch, peel them. Avg Joe, you're just itchin' to start a fight, aren't ya? I do as Lucina advises, but crack the cooked eggs by shaking the pan after I drain them and before adding ice water. This makes steam inside the shells. When they cool enough to handle I crack them all over and roll them in my hands. The shells almost always slip right off. We had egg salad for lunch today. No prob. You know dang well that was a topic that was done to death on a previous puzzle! & now I have to go thru a months worth of Blogs to find that day to print a link for you? I swap a screen and a window in my storm door twice a year. I immediately thought of that but rejected it as unlikely. Just give em a good blow, Joe! I thought the puzzle sucked eggs though. Remember doing Olschwang puzzles before joining this blog over 6 years ago. Don't see him so often now. Got most of OK but hat to look up ATHOL and BIG O. We have no Big O here. Still managed to bollux up STORM DOORS; had PASTa at first which wasn't helpful. Apron covering. - Thought immediately of aircraft parking, so TAR clicked. Merriam gives 3 distinct definitions. REBS - Eventually sussed it. Stonewall Jackson is the only reb called 'Stonewall" that I know of.. Never in history readings have I seen the Confederates referred to as stonewallers. Perps were clear, tho. Fröbe also played Sgt. 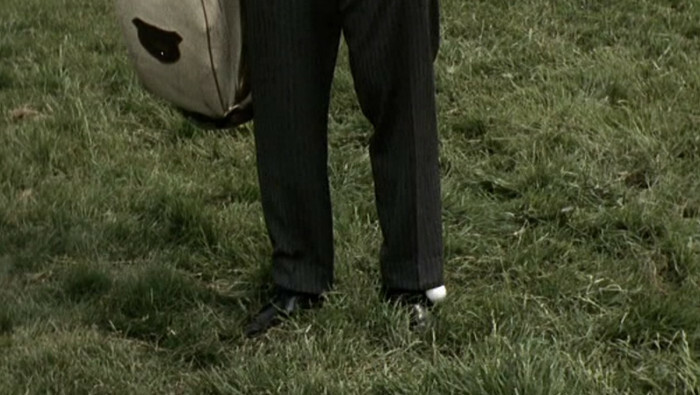 Kaffekanne in "The Longest Day" and was in "The Magnificent Men and Their Flying Machines"
Thanks Alan for a fun slog. Wow, I just learned how to turn my iPhone into a "Personal Hotspot." Very cool! Now I can get on line when our DSL goes out, which it has been doing far too frequently recently. It basically turns the iPhone into a cellular modem; you connect your computer to it via Wi-Fi instead of your regular modem (which is useless when DSL is out). Of course, you use up your data plan, but that's what "broadband wireless" is all about. Well, I HAD to stop in today because I had no idea why tar was the answer to apron. Thanks Splynter. I don't know what we call those easement areas here, so that is my learning moment. I sailed thru the NW corner, struggled on and off with the middle, not knowing many of those people mentioned, and came to a complete stop in the SE corner.I had exposed, and never even thought of evinced...nor would I tomorrow. Have never lived anywhere with storm doors. In movies they seem to be made of wood. My funniest mistake was putting in porker before porter. CEDave, loved your CW/daughter story. I left right after posting for a quick run to two stores. Forgot to get one of the two items at the first store, and then left the second store and realized I only bought three packages of cheese when I needed five. Return trips to both stores. But I've got to have the right stuff for the games ! I was disappointed to see that AB was ruled ineligible for the game. He puts a lot of pressure on opposing defenses, and opens up other passing lanes. Martavis Bryant is just a stud athlete , and superstar in the making, so he'll draw the defensive back focus. Marcus Wheaton and Heyward-Bey should get some quality looks if Ben can go. Still, it's a measurable loss when AB isn't in the lineup. Especially against a tough secondary like Denver has. I was really impressed with DeAngelo and how he bides time to allow the blocks to be setup and then picks the best holes that develop. He can start off guard and end up outside the opposite side tight end and down the field for 7 to 10 before the LBs can close. Plus, the guy is just a class act. Looking for Toddman and Toussaint to hit the holes hard and give it all. And protect on passing plays. Anything less won't bode well. As you said though, it all starts with Ben. If he's out or just "off" because of the injury, we're toast. Ttp, that would have been a great post for a steelers blog. Or a nice email sent to chairman moe. Jayce: The Hotspot feature is a nice tool. We cancelled our Comcast internet service at our beach house and use the Hotspot for our internet while we are there. My wife also uses it on our trips to the shore with her IPad. I also don't have to use public WiFi hotspots which may not be very secure. The only problem is the data limits on our plan. Normal internet use isn't an issue, but video streaming chews it up pretty fast. Unlimited data would be nice. Hi Y'all! I ABOMINATES the NW section with 7 (count 'em) names, five of which I had never heard. HEY NOW, not fair. Only got MALLET on first pass. Hurray, for lovable AVERAGE JOE, the only word I got in the NE on first pass. Silliest hold up: was trying to puzzle out what square wheels could signify. Oh, wheels used in St. Peter's Square. Duh dujour! Wife and mother of pilots didn't hesitate to TAR the apron. TONAGE was first try which wasn't long enough & half turned red. TON sat there until I realized it had two "N's". So many ways to screw this puzzle up. Thanks, Splynter, for taking the hard ones and giving us relief. Sgt. Kaffekanne in "The Longest Day"
I had no idea, you ever watch trailers of movies you saw years ago? How many actors can you name? Wait another sec... how the heck did you get those two little dots over Frobe???? when I saw this side clip. I must really apologize again, because I only watched 5 minutes of the above before I had to share it, only to discover the entire clip is twenty minutes long! Well, I can't watch the whole thing now, I have to go walk my neighbors Dalmatian. hmm, I wonder if I can do both together. I am craving a WonTon soup. John, their leader, a big burly man of 53, gets off his Harley, walks through a group of gawkers, past the State Trooper who was trying to talk her down off the railing, and says, "Hey Baby . . . whatcha doin' up there on that railin'?" She says tearfully, "I'm going to kill myself!!" Remember my recent use of the phrase crash & burn? Well, I'm pulling it out again. Just too many unknowns to complete without lookups. Never heard of Big O, Sandaled just seemed too ridiculous to be right, and so forth. Threw in the towel. D Otto 7:01 - I thought of airport aprons right away, and Tar seemed to fit, so in it went. That's about the only correct entry I had in the NW. Tar isn't technically correct in this use - the binding agent would be asphalt - but Tar seems to be colloquial for blacktop pavement. I added the Wiki link on the Pope-mobile because I noticed that in each country, they seem to use a "local" chassis for that visit - so yes, when in Rome, oc4beach~! What I meant to say about "REBS" was that I didn't solve it; I did get it, tho my personal fave of the Civil War had to be ol' Ambrose Burnsides....just look at my avatar~! We had the three-track storm windows in the houses I grew up in, and one was for a permanent screen; you could shuffle it up to the top, or down to the bottom. That one I got, but Big O, on the other hand, was a complete unknown. Disagree. I still think looking things up is cheating! No cheats for me on this one! Wasn't feeling too well so did not get around to working this one until a while ago. Took a loooong time! Had ELIZABETHI right away. That sure helped. Several were perped. 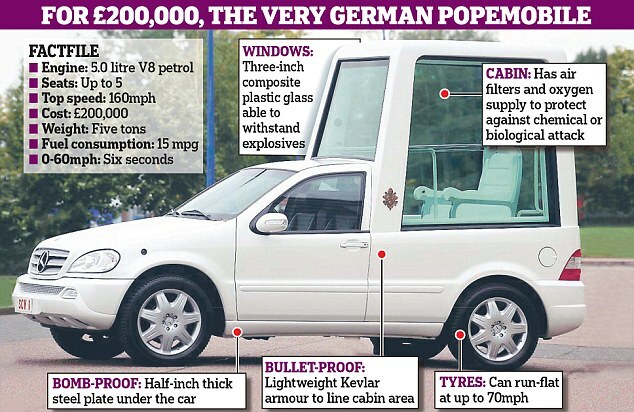 Liked POPEMOBILE! Also a quick one. I didn't think of it at the time, but reading the blog it occurs to me that "sandaled" is an adjective as well as a verbed noun. Still don't get 'em: SOUS, ESTS. Mao's contemporary was CHOU En-lai. They changed his name to ZHOU Enlai about the time he died. SOUS is the second-in-command in a kitchen, the under chef.